It doesn’t have screens. There are no giant wheels or touchstrips. There’s no complex software integration, or built-in mixer, or pads for remixing. 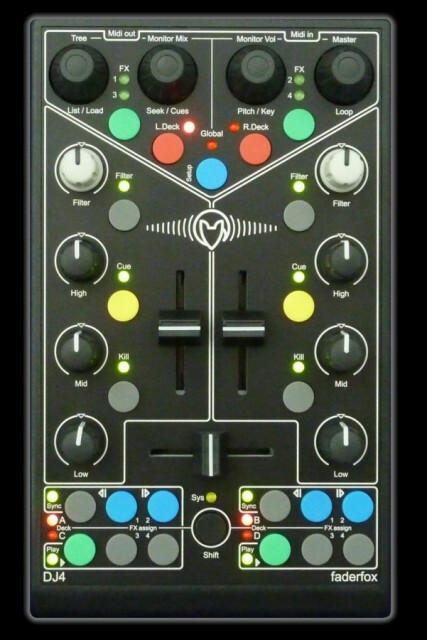 But what the DJ4 is is what you might be missing in other DJ controllers. It’s got the controls you need in a tiny, tiny footprint that won’t have you hunting for new luggage or scrambling around a venue to find a bigger table because your gear won’t fit in the booth. (Ahem, yes, you know who you are, giant controllers.) 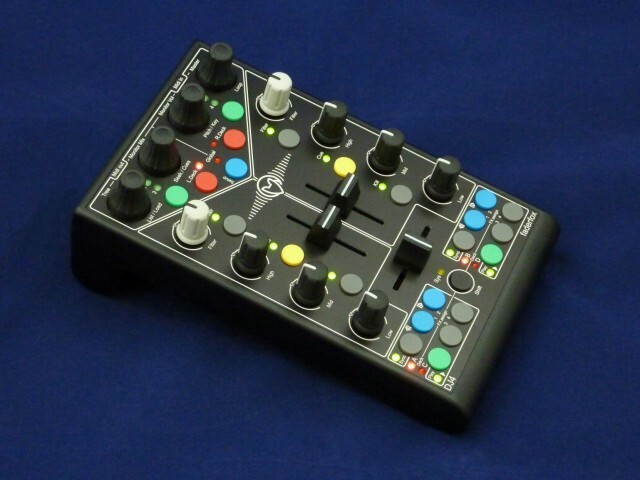 And unlike the increasingly branded, computer-tied world of DJ controllers, this one also works with anything – now even as a MIDI controller without a computer in sight. In other words, it’s a Faderfox. Out of the box, the German-built box does work with the German DJ software of choice, Native Instruments Traktor Pro and Ableton Live. You get eight centered pots for EQ and filter, and three faders in a two channel / crossfader configuration. Effects are unbelievably crammed in there, too, via push-button access, though by the time you’ve gone this small, you could easily map another of the Faderfox range. The switchable MIDI routings and parameter mappings to me are really appealing. I’m a huge fan of what Ableton and Native Instruments have done with their own hardware. But on the other hand, you’re beginning to see a situation where you’re carrying around a dedicated controller for each app. Faderfox remains a holdout in the industry for general-purpose controls. Since this runs on 5V power, you can use a standard USB power adapter for standalone operation. For everything else, you can bus power, including via the Camera Connection Kit on iPad. I haven’t yet got to try those new caps, but otherwise this looks like standard Faderfox stuff, which is to say tiny and indestructible. The UC4 universal controller remains the most interesting generic controller, and standalone step-sequencing on the SC4 is also nice. But it’s nice to see the fourth-generation range finished out. 192€ before VAT (so that’s the price anywhere outside Europe).